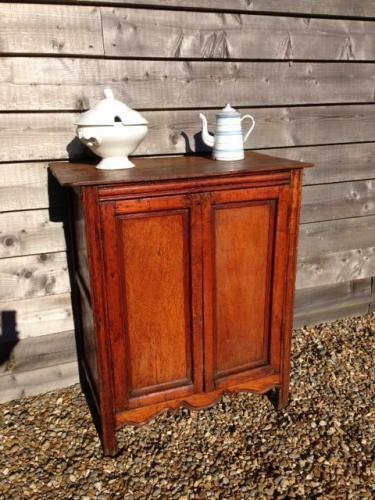 Hansome antique country larder/storage cupboard with shelves and shaped doors and panelled sides. There are carming old child drawings on the insides of the doors (could be removed but are great fun). Also the backing to the cupboard is an advert for Philco radios.